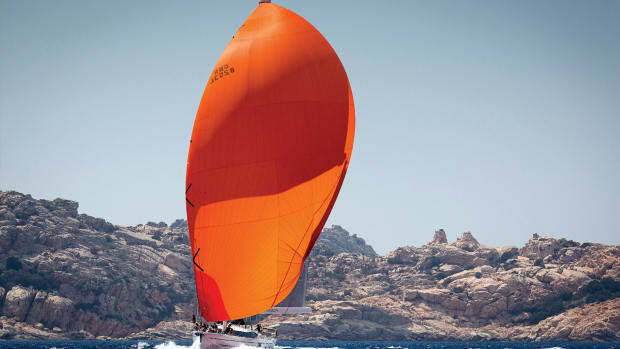 In sailing magazines, articles about rudders are almost never really about rudders. They are about being rudderless. Such stories make for exciting reading, but I don’t want to know how to steer without a rudder—I want to know how to make sure I won’t ever need to. After hull integrity, rudder integrity is the most vital component of a seaworthy vessel, yet most sailors pay more attention to LED lighting or smartphone apps than they do to their boat’s rudder. 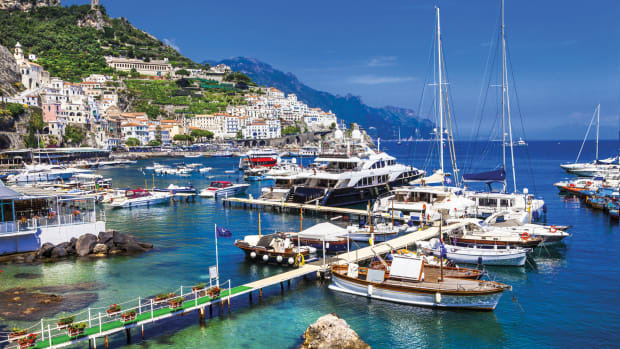 Before you shrug off rudder failure as a remote concern, consider that the incidence of mid-ocean rudder failures is close to 1 percent—and that’s on sturdy boats that presumably have received a truck-to-keel going over before setting off. Is this a consequence of distance sailing? Only to the extent that heavier use exposes inherent weaknesses sooner. 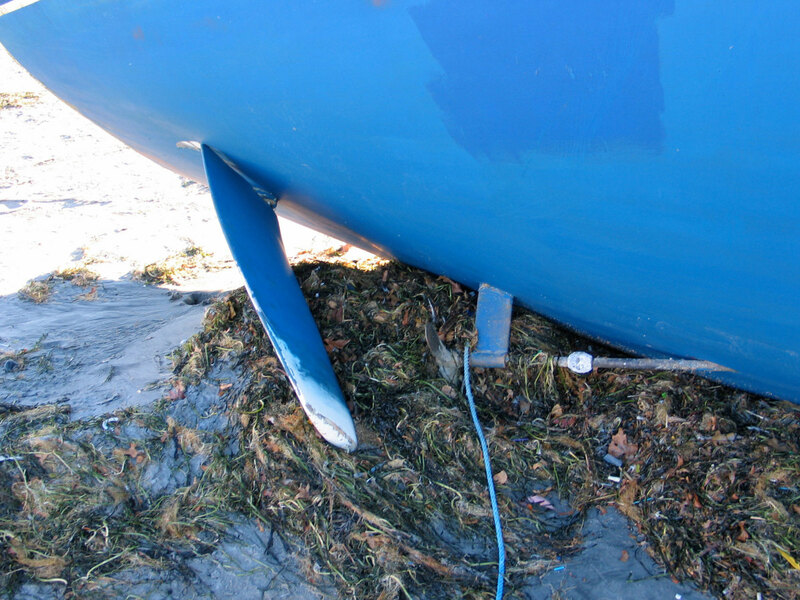 Most often, the real problem is that the design and construction of many rudders on fiberglass boats make them susceptible—no, let’s say prone—to failure. 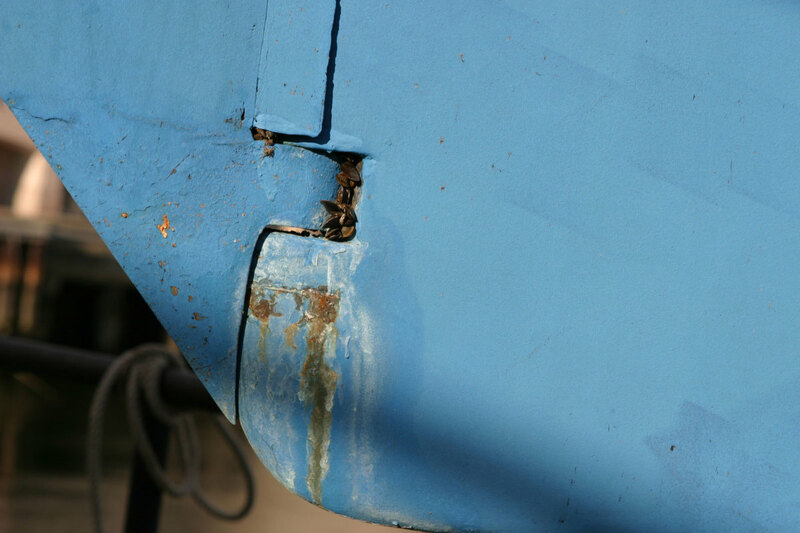 Rudders fail in four different ways, and knowing what these are will help you to spot early signs of trouble. Stock failure: Most rudders are constructed around a solid or hollow stainless steel or aluminum stock. This tube or bar connects the rudder to the boat’s steering mechanism. In the case of a spade rudder, it also attaches the rudder to the boat. Stocks can fail in several ways, all related to inadequate strength. However, a rudder stock should not be so strong that it pries open the bottom of a boat rather than bending in a collision or grounding. This makes spade rudders on lightly built boats unavoidably more vulnerable to a bent stock—the rudder is sacrificed to save the hull. 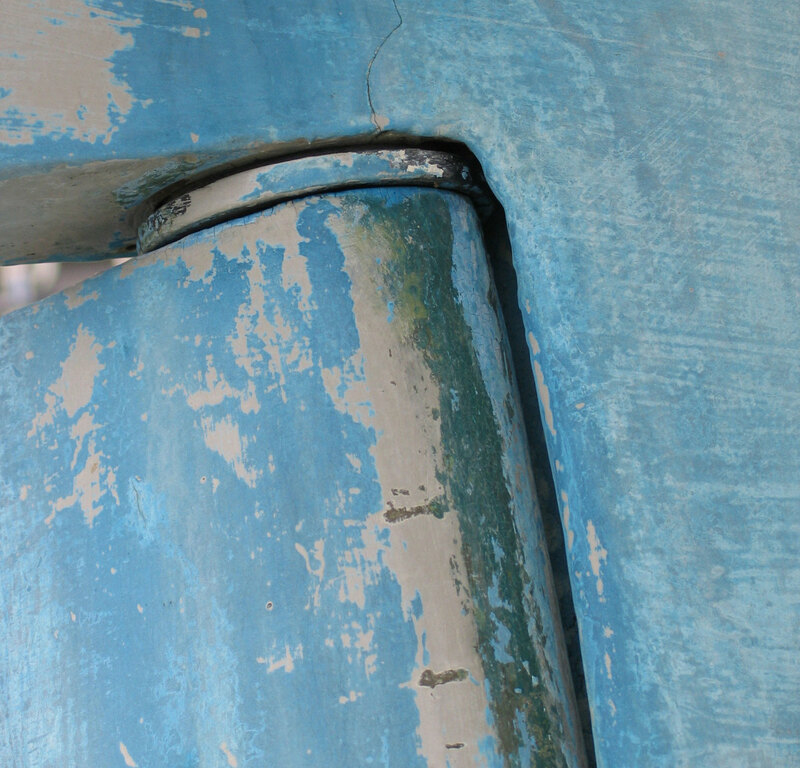 A bent metal stock can result in a rudder being jammed off-center, which will thwart any efforts to steer a boat with sails, drogues, a jury rudder or by towing lines. Composite rudder stocks, meanwhile, will break rather than bend. Under normal operating conditions, a rudder stock is subject to repeated and reversing torsional stress, which it can easily handle if it is sized correctly. However, as everyone who has twisted the head off an old screw knows, corrosion changes everything. Stainless steel, in particular, suffers when deprived of oxygen, which is exactly what happens up inside a rudder tube full of stagnant seawater. This effect is exacerbated where the shaft comes in contact with a solid bearing surface, which rubs away the oxide film that protects the steel. Hidden from view, the stock begins to corrode. Over time, its strength is compromised enough that an impact or strong twist snaps it like a pretzel, and the rudder falls away. Framework failure: A rudder blade is not simply cast onto its stock like a lollipop on a stick, but is held in place by an internal metal framework. In the weakest configuration, the stock extends only just below the top of the rudder where its end is welded to a mild-steel plate, looking something like a bad oar. It doesn’t take a materials engineer to predict what is going to happen as a 4-foot rudder blade flexes this plate back and forth. 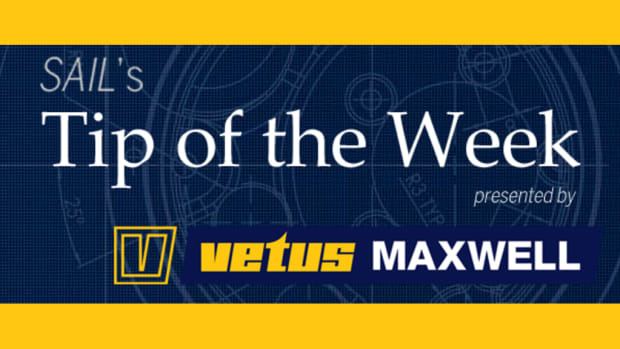 The more common practice of spot-welding metal bars—like reverse tillers—onto a stock that extends deep into the blade is better in that there are multiple welds to resist the twisting stresses and the continuous stock absorbs the bending stress. Also, the rudder will not necessarily fall away when these welds fail. A well-engineered interior framework is made out of stainless steel, rather than mild steel, and is firmly attached to the stock with long, strong welds. However, even if the interior frame is a single stainless plate that is welded to the stock for almost its entire interior length, it is almost impossible to maintain a perfect seal between the composite blade and the metal stock. Water eventually penetrates into the blade and fosters corrosion, especially where welding has altered the molecular structure of the metal. As the water inside the rudder is trapped, this type of deterioration continues unabated even in a boat stored on land. If corrosion weakens the framework to its breaking point, rotating the stock will fail to turn the rudder blade. Delamination: Production fiberglass rudders are typically composed of a pair of molded skins bonded together like a clamshell over the metal framework, with the interior void filled with plastic foam. If the peripheral bond securing the fiberglass blade fails, the skins will peel away and the foam will disintegrate. This seam can fail for a number of reasons: because it was not bonded well; because the bonding flange is not wide enough; because an impact splits it like the seam on a peanut husk; or because the expansion of freezing moisture inside the rudder jacks the two halves apart. It is also not unusual to see a rudder with a bulge on one or both sides. Like water penetrating a cored deck, water inside a foam-cored rudder can delaminate the skin from the foam, leaving the thin skin free to take a new shape. Winter freeze cycles will repeatedly push the skin farther from the foam, destroying the contour and compromising the integrity of the rudder. In warm climes, persistent blistering may signal that the interior of a rudder is wet. Bearing failure: Outboard rudders pivot on pintles that mate with gudgeons. This type of bearing is extremely reliable and mostly fails due to predictable and often obvious wear, although corrosion in a stainless steel pintle, as opposed to a bronze one, can result in sudden failure. 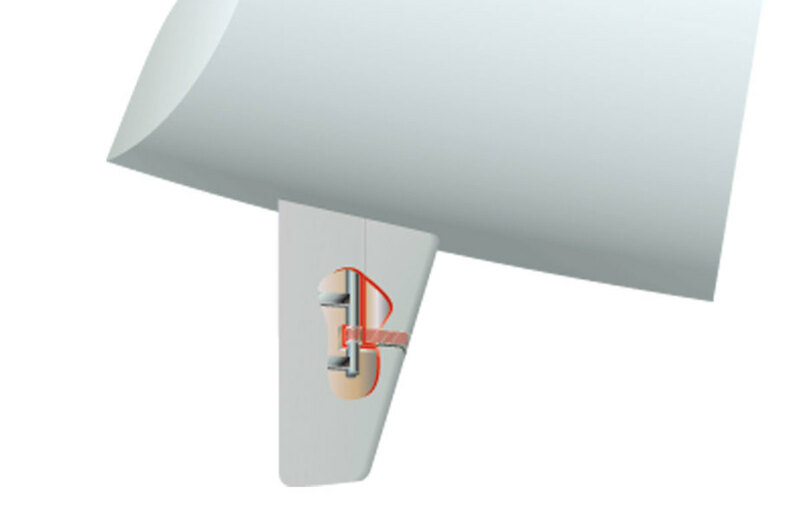 [advertisement]The stock on an inboard rudder, on the other hand, typically penetrates the hull via a laminated tube. The interior surface of the tube serves as the bearing surface for the turning stock, with a second fixed bearing up high on the stock countering the bending loads. Some rudder tubes are fitted with a grease fitting or at least a grease cap that allows lubricant to be forced between tube and stock to reduce wear. While uncomplicated and durable, a raw tube can suffer wear, hastened by infrequent lubrication, which will result in excessive play, worrying clunks and difficulty steering. The raw tube also subjects a metal stock to corrosion-encouraging abrasion, particularly if grit finds its way into the tube. To eliminate the need for lubrication, some rudder tubes are sleeved with low-friction plastic bearings. Unfortunately, two common bearing materials, polyamide (nylon) and polyacetal (Delrin), absorb water and swell, causing the bearings to grip rather than guide. Even a stable plastic such as UHMW can be distorted by a corroding aluminum carrier. Either circumstance can make for stiff steering or freeze rudder movement entirely. With an even larger opening in the hull, the rudder tube can be fitted with a roller bearing. This type of bearing tends to create a lighter helm and is easier on the rotating stock than solid bearings. However, roller bearings tend to fail suddenly rather than gradually, which will result in significant binding. 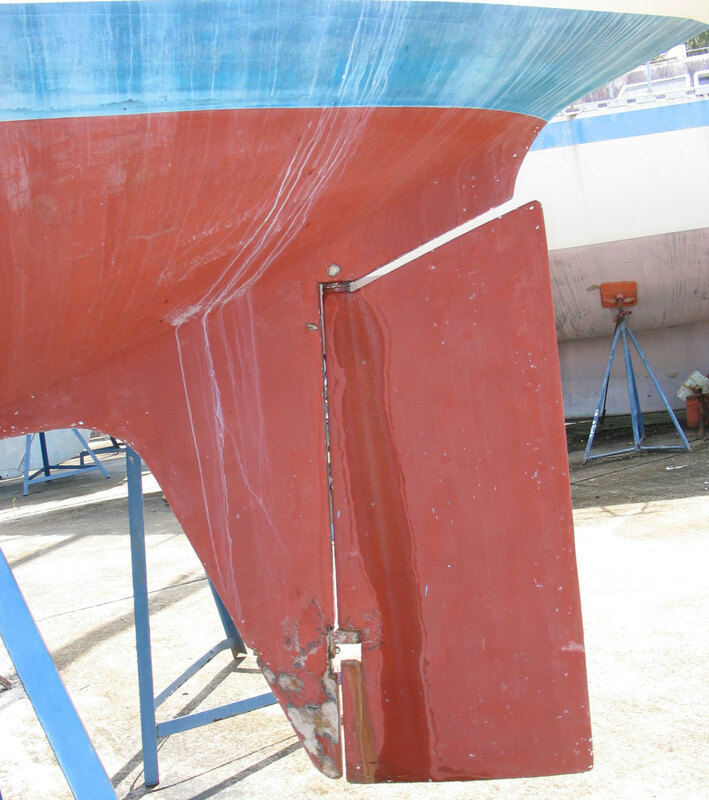 Symptoms of rudder failure are not easily detected, but you can lower the risk of failure with a proper program of rudder care and maintenance. Know your rudder: Is it outboard or inboard? Spade or skeg-mounted? Is the stock aluminum, stainless steel or composite? Solid or hollow? 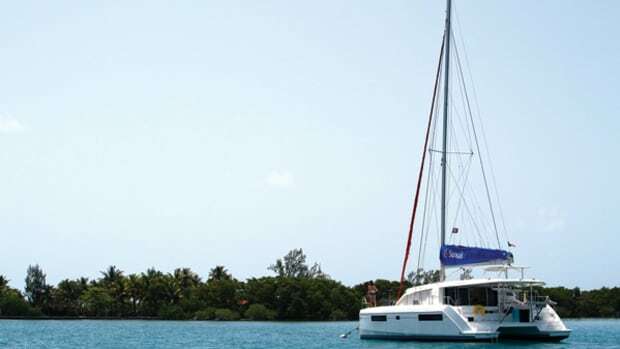 A thin-wall aluminum stock might be fine for bay sailing, but is unlikely to survive an encounter with a drift net or a coral head. Recognizing a rudder’s obvious weaknesses should keep you from taxing it beyond its capabilities. 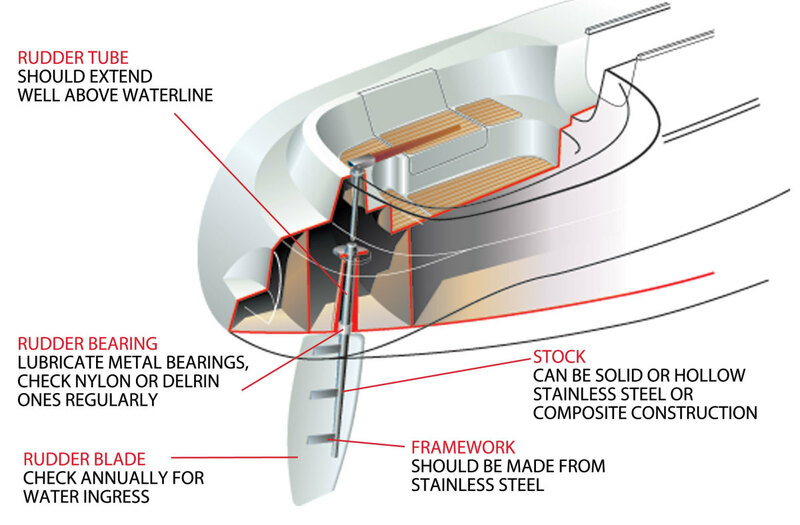 Service the bearings: Grit trapped inside a rudder tube abrades a stainless steel stock and opens the door to virulent corrosion. There is usually little water flow inside a rudder tube, so grit will likely remain there unless it’s flushed out. Give your rudder tube and bearings a thorough high-pressure flush every time the boat is hauled. Pintles and gudgeons can also benefit from flushing. If your rudder tube has grease points, give them a squirt of grease at least once a year. Roller bearings should be cleaned but never lubricated, although a bit of grease on the bearing carrier can retard corrosion and make future servicing easier. Worn bushings or bearing rollers should be replaced. Worn rudder tubes can be rejuvenated by injecting graphite-thickened epoxy into the tube interior with the stock coated with mold-release wax in place. Check the seals: If a rudder tube does not extend well above the waterline, there must be some effective way to keep the ocean out. This might be a stuffing box, lip seals or perhaps a rubber gaiter. Whatever method is used, it should be checked at least annually, preferably while the boat is moving at hull speed. Check vertical alignment: Aside from its adverse effect on sailing performance, a bent rudder stock will have been weakened, and straightening it will weaken it more. 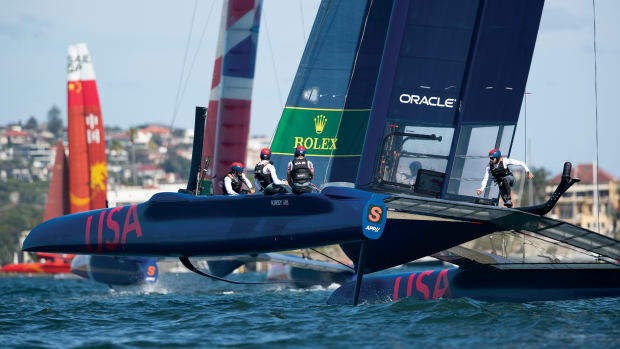 The force that bent the stock may also have damaged the rudder’s bearings, internal frame, outer shell or even the structure of the hull and rudder tube. A spade rudder that is not vertical or does not rotate in place at the bottom of the blade requires a careful and complete evaluation. Test for ease of rotation: Rudders should turn smoothly from stop to stop. Any roughness or drag suggests corrosion of the stock, swelling or distortion of a solid bearing, flattened rollers in a roller bearing or other corrosion, wear or alignment issues.  Smooth action is easily checked if you have tiller steering, but you may need to release the rudder from the steering mechanism on a wheel-steered boat. Make sure that any observed drag is not caused by the support bearing under the pin or nut that prevents the rudder from dropping out of the boat. Testing rotation with the boat afloat rather than on the hard should eliminate this issue. Confirm strong stops: Rudder movement beyond around 35 degrees either side of center is undesirable. The absence of strong stops that prevent the rudder from exceeding these angles exposes it to the risk of being slammed over by a following sea or when powering in reverse. This risks jamming the rudder as the broadside position of the blade subjects the stock to a violent bending force. Check for play: Outboard rudders and rudders with a bottom bearing should be checked regularly for wear of pintles, gudgeons and other hardware by trying to rattle the rudder in its bearings. Spade rudders are supported by bearings inside the boat, so push the bottom of a spade rudder side to side to check for tube wear or other bearing problems. Check inboard rudders of all types by locking the tiller or quadrant rigidly against a stop and trying to move the back edge of the rudder blade. Any movement indicates failure of the internal structure or deterioration of the filler. Examine the blade: Pay particular attention to the edges of the blade, looking for any signs of cracking or separation. Use a mirror and a light to get a look at the top of the blade, particularly where the stock enters it. Any splits or cracks here will allow water into the interior of the rudder. Because hardened resin eventually loses its grip on a metal stock, I like to run an O-ring-like bead of flexible polyurethane sealant (3M 5200) around the stock where it enters the top of the blade. This is best done with the rudder out of the boat or at least dropped. 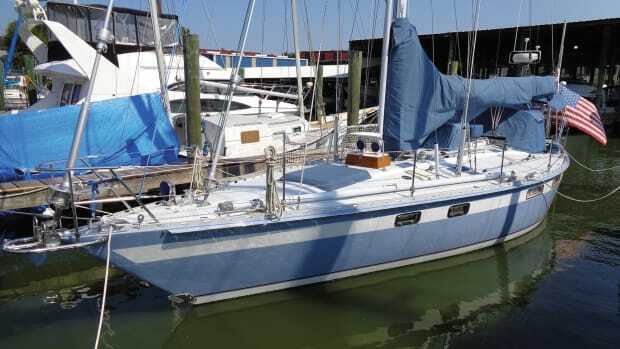 Drain: When sailboats are hauled out of the water, the rudder often drips long after the hull is dry, something that is noticed by far too few owners. Water inside a rudder is the enemy. It is corroding the metal framework and delaminating the blade; in freezing weather it will shatter things. 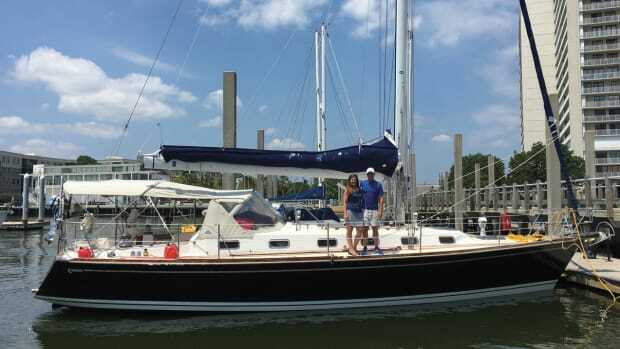 When your boat is hauled,watch for continuing drips or rivulets from the bottom fitting. After the hull has been pressure-washed and is dry, feel the bottom of the rudder. If it is wet, wipe it with a white towel. Rust color is a clue to what is going on inside. If your rudder does not drip, that doesn’t necessarily mean it is dry inside. It is almost always enlightening to drill into the interior of the blade at or near the bottom. Do this with a battery-powered drill so you don’t get electrocuted when water comes trickling out. Again, the color of this water will serve as a clue to the possible extent of interior corrosion. Because I don’t know where water might accumulate, I like to drill 1/8in holes in several locations. These are easily repaired before launch with a bit of epoxy putty. Water inside a rudder does not condemn it, but an absence of water is reassuring. Tea-colored water pouring from your rudder is cause for concern. [advertisement]View the stock: The best way to tell if your stock is sound is to get a look at it where it is most likely to fail, in the area hidden by the rudder tube. This is like examining through-the-deck chainplates by extracting them. In the case of a rudder, dropping it a few inches to expose the critical part of the stock should be adequate. This applies equally to composite stocks, which can suffer from hidden wear or damage just above where they enter the hull. If there are no indications of rudder problems it might seem excessively cautious to drop the rudder just to look at the stock, but if you’re preparing a boat for a long passage or an extended cruise this may save you from an adventure you would rather not have. Rudder failure is not a hypothetical concern, and making a focused inspection part of your annual maintenance checklist will go a long way toward ensuring it doesn’t happen to you. If your examination exposes something, don’t let it slide. Dig deeper or bring in a professional. Arriving with the rudder intact is always a better show of seamanship than arriving without it.